We are still looking for a main sponsor for the 2019 carnival, please get in touch! After the biggest and best Carnival week in 2017 the 2018 Carnival aims to beat it! The countdown has begun already. 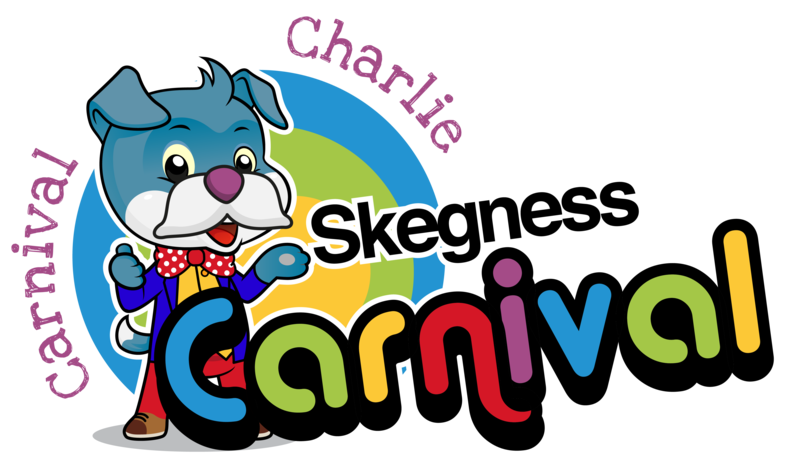 The Skegness Carnival will return on Sunday 12th August 2018 with a full week packed with events. 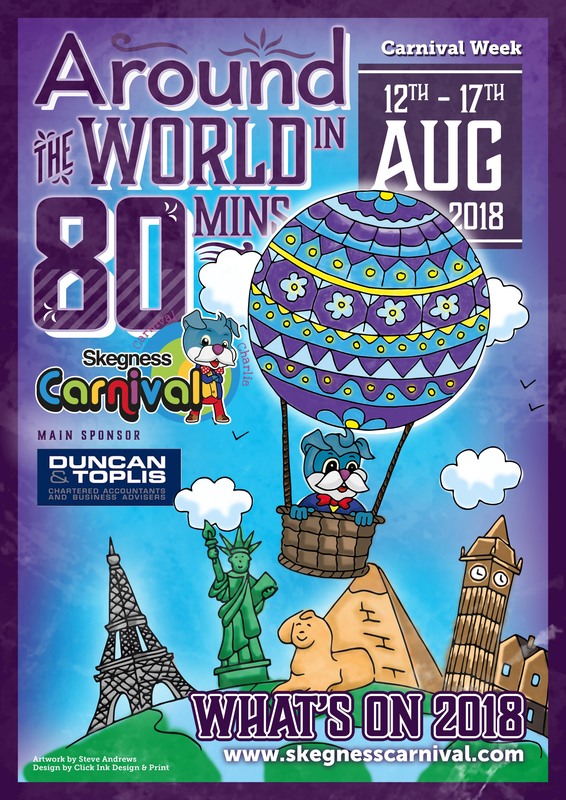 The theme for the 2018 Skegness Carnival is ‘Around the World in 80 minutes’. WE NEED YOUR HELP!! 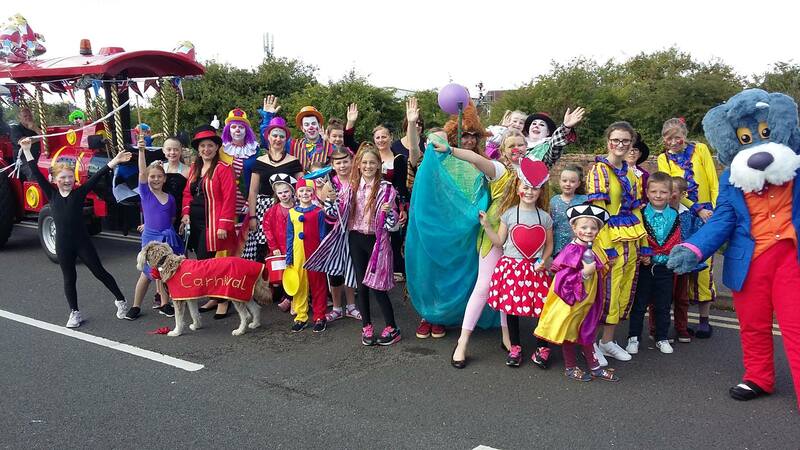 The Carnival committee is a small group of volunteers and the parade day itself is funded by money raised through our volunteer events and with the generous donations of local businesses. However year on year the costs keep on rising and this year the Carnival parade day will cost in excess of £10,000 which means in order to keep this tradition alive we need the help of you. Without additional funding this event will sadly not go ahead. 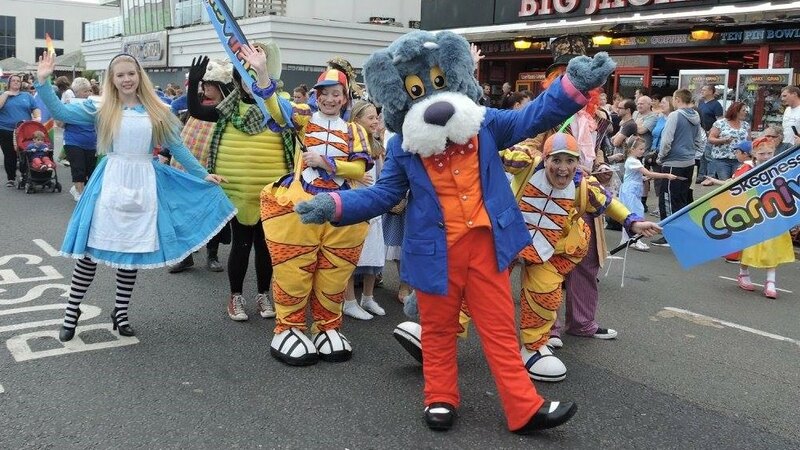 The Skegness Carnival Parade 2019 will take place on Sunday 11th August. 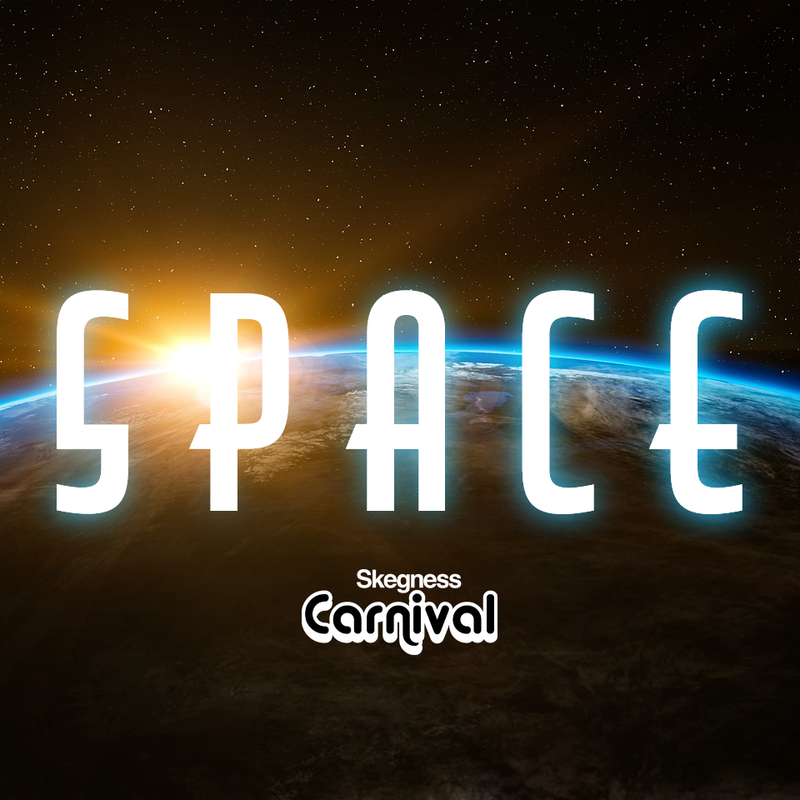 Celebrating the 50 year anniversary of man landing on the moon, this years carnival theme is Space! We will also be holding the Pet Show and Dog show on sunday, the canrival parade days this year. 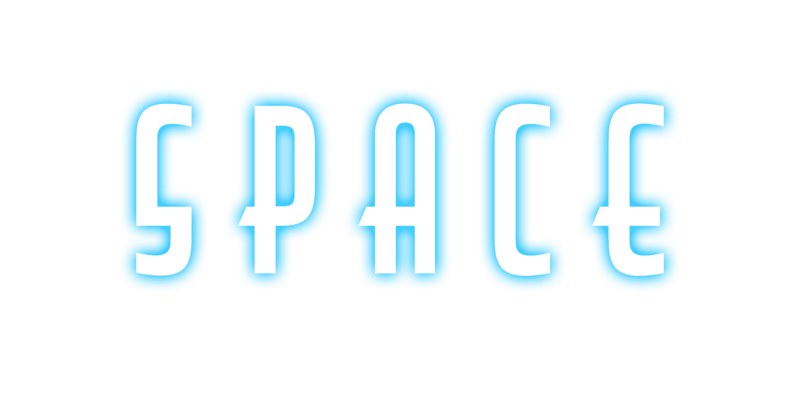 Giving more people an opportunity to take part and enter the competition. On Wednesday 14th August will be the traditional 999 day also including the very popular baby show. Come see the Wonderful Wizard of Oz. 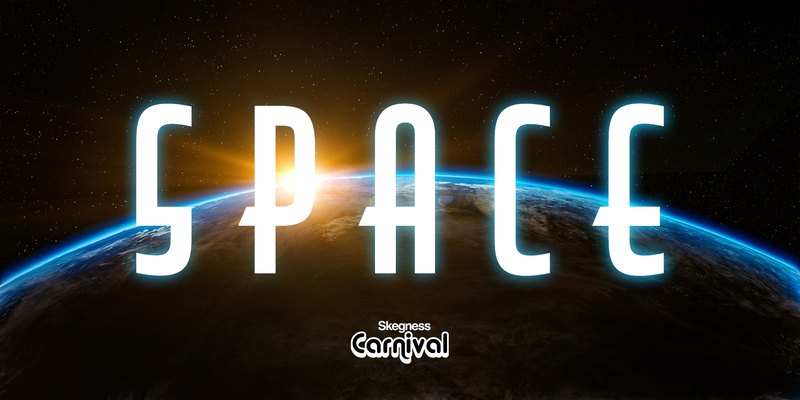 Celebrating the 50 year anniversary of man landing on the moon, this years carnival theme is Space! We will also be holding the Pet Show and Dog show on sunday, the canrival parade days this year. Giving more people an opportunity to take part and enter the competition. The carnival parade starts at 1pm from the car park behind Tesco. Float judging will take place at 12pm. The parade will leave the car park and make its way down Richmond Drive, Lumley Road to the clock tower, Grand Parade and finishing at North Parade car park. 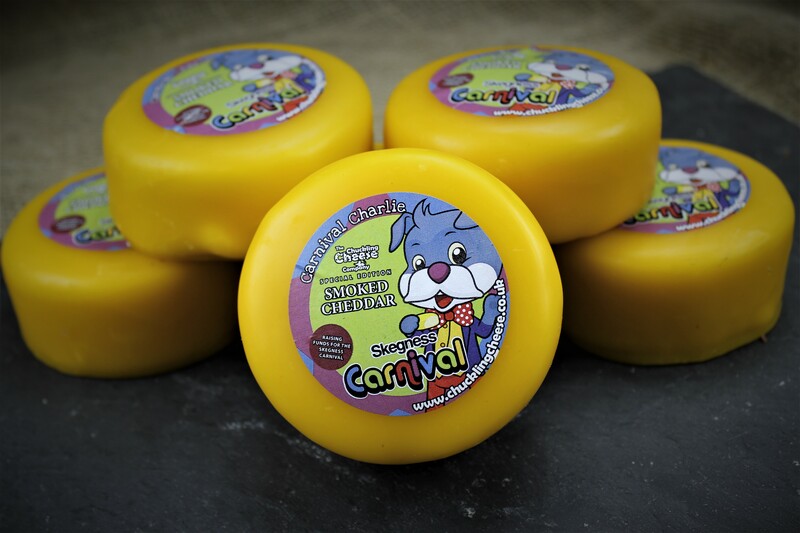 10am – 6pm in Tower Gardens will be children’s rides, bouncy castles, entertainment and market stalls. Pet Show will start at 10am in Tower Gardens. 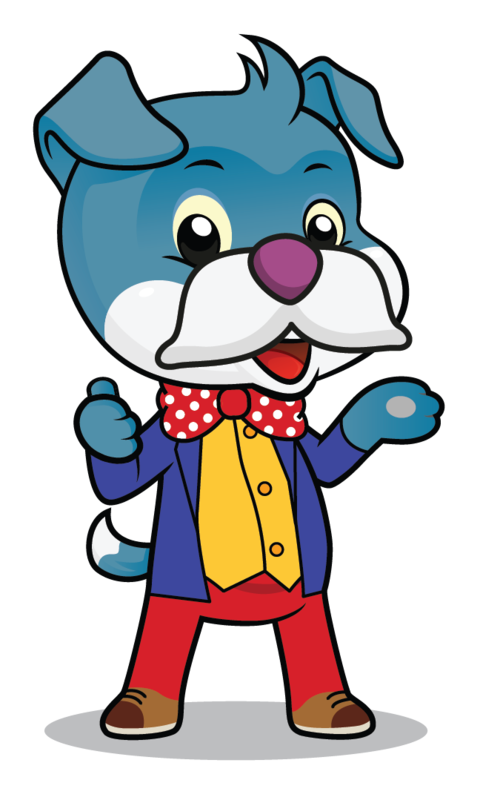 This year the Pet Show will take place on the Wednesday (14th August). Pet show takes place at 11am in Tower Gardens. The dog show will take place in the afternoon in Tower Gardens. Times still need to be confirmed and are subject to change.